Guidant is a company that manufactures defibrillators and pacemakers. Unfortunately, some of the devices they manufacture have been found to have defects. Guidant is responsible for approximately 100,000 defibrillator and pacemaker units at risk of failure. Patients who have received these implants rely on an electric shock from their defibrillator to restore a normal heartbeat. Unfortunately, due to the defects in these devices, what was meant to save lives could cost lives. Having surgery to replace a pacemaker means risking infection and scar tissue. If you or a loved one has been injured due to a defective defibrillator or pacemaker, call Cellino & Barnes now at 800-888-8888 or contact us. The Guidant Corporation is one of the world’s leading designers/developers of cardiovascular medical devices. Guidant was incorporated in 1994 and has its corporate headquarters in Indianapolis, Indiana. On June 17, 2005, the FDA issued a recall for certain Guidant defibrillator models. This Guidant recall is for both the Guidant implanted cardioverter defibrillator (ICD) and cardiac resynchronization therapy (CRT) devices. Although these devices are technically different, pacemakers and defibrillators both regulate heart rate/rhythm control. On July 28, 2005, the company warned doctors that a defect in approximately 28,000 pacemakers still in use by patients may need to be replaced. 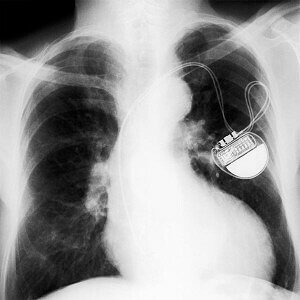 Warnings on additional pacemakers were made on September 22, 2005, when Guidant Corp. announced that the Insignia and Nexus devices can also experience a sudden loss of pacing.